How much money do you need for University in Singapore? How much it costs to be a degree holder will give you a headache just thinking about it. Nowadays, more than ever, responsible millennials are getting more involved in their own financial matters, partially lifting the burden on their parents’ shoulder. If you’re one of them, you’re going to want to finish this article. Well, since the cost varies among universities and different personal lifestyles, I can’t come up with the exact figure for each of you. However, I’ll help you plan out all the costs you should be concerned with. Annual tuition fee ranges from as low as $8,150 for some programs (NTU and NUS) to as high as $146,750 (yikes) for Dentistry and Medicine (unsubsidised). Take the figure you found for the program you’re interested in, times the duration of the course and that’s your tuition fees. A note on Tuition Grant for Singapore Permanent Residents (PRs) and International Students (IS). If you are going to apply for MOE Tuition Grant, you’ll save a whole lot of money. However, you’ll have to work for (at least) 3 years in Singapore, or a Singapore-based company overseas. Otherwise, you’ll have to pay back the subsidised amount, or your certification won’t be recognised by the university you go to. Not everyone needs to worry about this. If you’re going to stay with your parents, you can skip this part. If you have your mind set on finding a place to live by yourself, or with a friend, it’ll be both fun and challenging. It’s best to discuss with your parents or guardian(s) beforehand because whether you’re staying in a rental apartment or dormitory, the cost is high in Singapore. For instance, living in SMU, NTU or NUS dormitory cost you at least $400-500 a month, which is reasonable compared to renting a HDB or condo. Keep in mind, sharing a room with someone reduces your rent significantly, but can you put up with your roommate’s lifestyle? So for the very basic expenses, you’re already down $835 a month. Adding rents and you’ll get $1,235 a month. Let’s use this number for calculation, though we both know it cost (at least) slightly more than that, because there are fees you can’t foresee. Though the cost for a Bachelor’s Degree is high in Singapore, there are many ways you can help your parents out during your university years. Every university has a list of countless scholarships and bursaries you can take advantage of. Providing a decent track record, you should be able to grab one, if not a few. However, beware of some offers with working bond. It’s a contingency you’ll have to work for a specific company, which sponsors your tuition fees, after you graduates for a few years. It’s bad idea because you don’t know whether you’ll like the company working culture or not. So, select carefully. Another similar way is you can contact the company you wish to work for, asking if they’re willing to sponsor you through your university years. This has a much lower successful rate, but nevertheless, you’re able to pick the company you’ll end up working for. Fun fact, Smartly offers scholarship as well. And the application process is the most simple one, too. The deadline is almost over, apply for Smartly Scholarship today! Taking some debt is an option, too. But like all other loans, you need to be extremely careful if you don’t want to be screwed by the banks. Probably the most important factor to consider is interest rate. Ideally, you’ll want an interest-free loan during the university years and only start paying interest after graduation when you have income. Before applying for tuition loan, I recommend figuring out how many years it takes to fully repay that amount. You already know your tuition fees by now and here’s the salary report for fresh graduates. If possible, you should pay off that debt before having a family. This is pretty much a must-do. Not only you’ll make extra $400-500 a month, you’ll also have some working experience. It really helps when you apply for that job you wish to have after graduation. Remember to apply for the job that’s relevant to the field you want to work in. Otherwise, the experience is almost worthless. For example, if you want to be a teacher, give tuition. Inspired by entrepreneurship? Work for a startup! Budgeting, or setting aside a fixed amount for an expense, is absolutely critical to save money. You should have a monthly budget for food, going out, etc. Don’t lose track of your expenses. There are many other ways to save your way to a degree, too. It’s extremely hard to have leftover money in your undergraduate years. It’s simply because you bear a slightly lower living expense but having very insignificant income. However, if you brilliantly manage to, my hat’s off to you. Still, you should always invest the savings instead of having it asleep in your bank account. Perhaps, Smartly can help you with that. 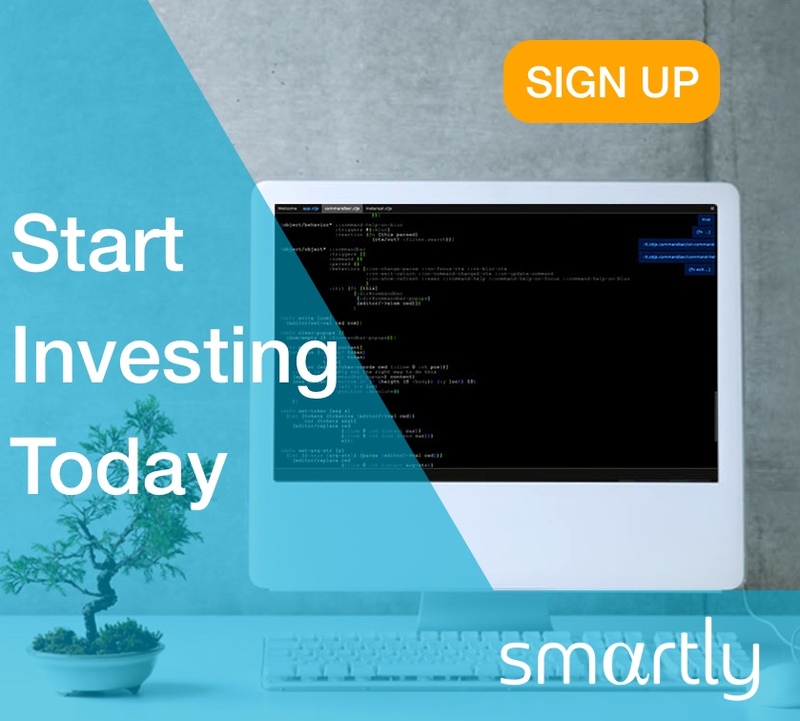 Find out more about Smartly here.